The Brick Castle: Choose Your Own Adventure House Of Danger Family Card Game Review Age 10+ (Sent by Asmodee). 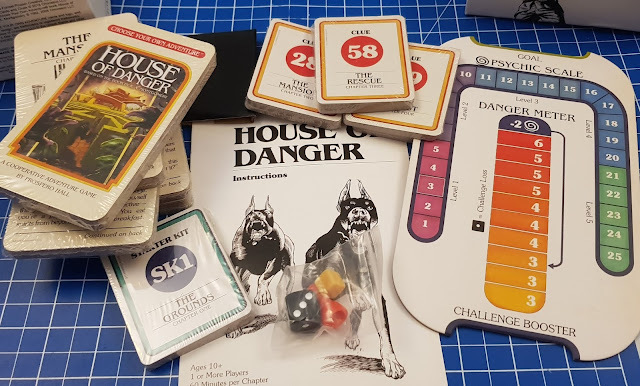 Choose Your Own Adventure House Of Danger Family Card Game Review Age 10+ (Sent by Asmodee). This is a compact and neatly boxed game, which is entirely made from printed card and very Earth-friendly. You can start to play through the first mini-chapter immediately using the quick start guide, which worked very well for us. We were instantly hooked! 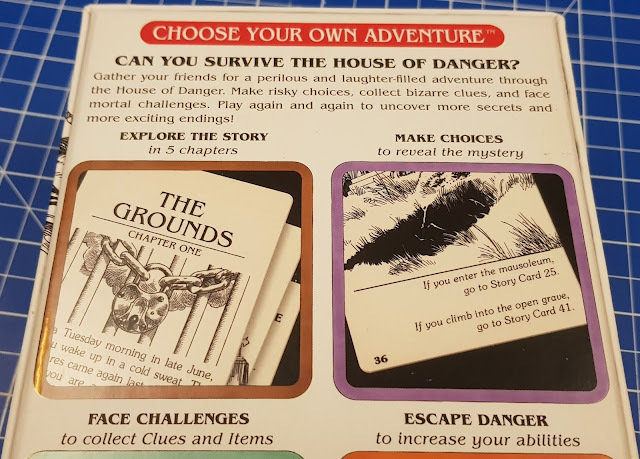 The game is played using 2 types of cards - 160 Story Cards and 129 Clue Cards - and just like the original books it is based on, you play through an entire story in chapters. There are 4 main chapters (approx 1 hour) and 1 x 10 minute mini story or 'Starter Kit' to play through first to learn the gameplay. There is a lot of reading and 1 player can take the role of 'narrator' throughout or you can swap, as all players join in trying to solve the clues and puzzles. During the game you travel through a house, starting in the grounds with the aim to get into the mansion. 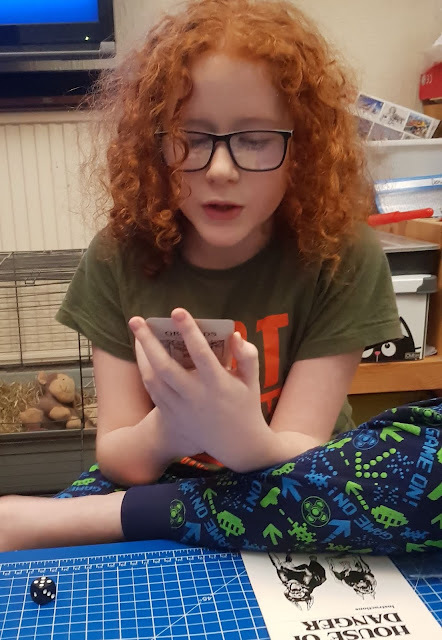 The narrator reads the Story Cards in turn and then all players decide what to do next. Most Story Cards have choices at the bottom and how you answer will affect the direction in which your story progresses. Sometimes you'll be told to draw a specific numbered Clue Card, which can give you a clue, item or premonition to hold onto for later or advance the game. When you reach your goal (e.g. by entering the house) the story card will bring this chapter to a conclusion, and it's a natural place to break if you don't want to continue playing for now. We have had loads of fun with this game. 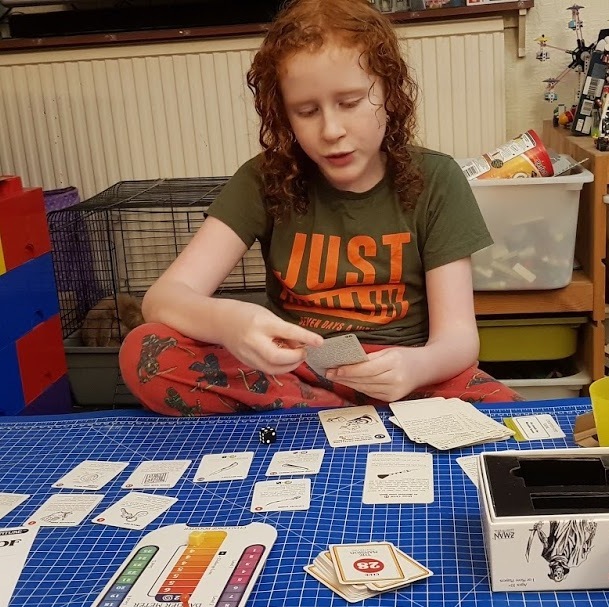 We've played with my 10 year old each time, but my 9 year old and other adults have joined in and everyone has really enjoyed playing. We've spotted moments when we missed a clue and ended up having to travel round a loop instead, but there have also been times we've been able to miss out lots of cards by getting something right and taking a direct route. Best thing is, we can play again and make different choices for a very different game. House Of Danger Choose-Your-Own-Adventure Card Game is brilliant. An excellent game which really does bring out the amateur detective in anyone. We haven't worked through all 5 chapters yet, but we are already making guesses about what the remaining chapters might hold. 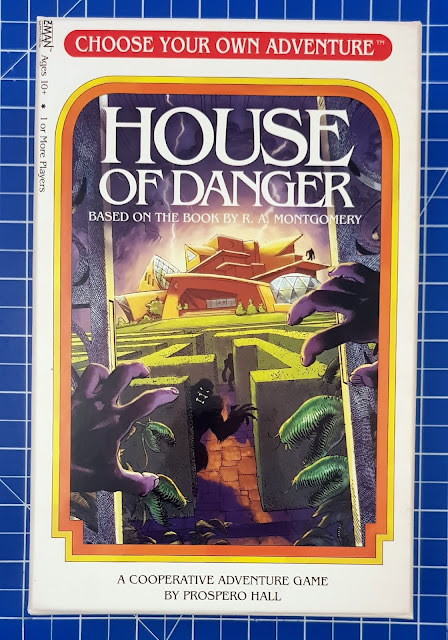 House Of Danger is distributed by Asmodee in the UK and available to buy now priced £21.99rrp from all good games stockists, including your local independent games shop or online from Amazon. (Affiliate link*). *Amazon links are affiliate, which earns me about thruppence a year and probably isn't worth the effort it takes to find the links, however I do earn a few pence if you buy through my link, but you never pay any extra. 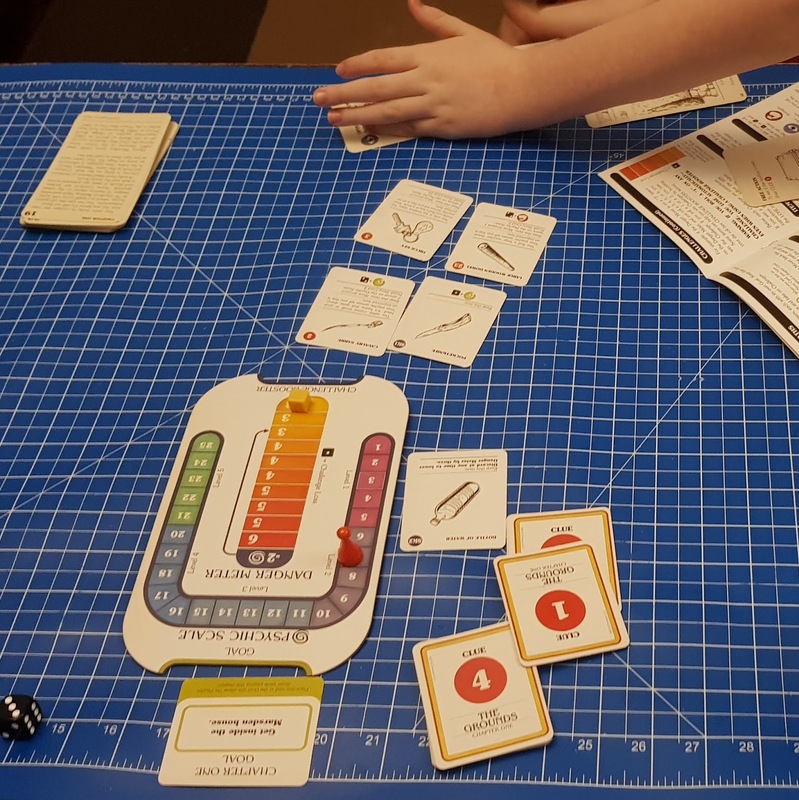 We were sent our game for review.